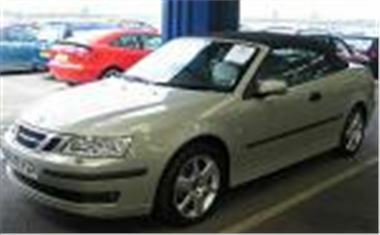 A private couple bought this 2,000 mile March 2005/05 reg SAAB 9-3 2.0T Vector 5-speed auto buttonshift convertible for £23,100 + £560 commission today, saving themselves a useful £5,000 on list. Someone else drove home in 23k mile 2002/52 Mercedes SL500 with all the kit including satnav for £47,500. More relatively cheap cars included a 10k mile 2004/54 BMW E60 525iSE manual, sold for £21,750, a 75k mile 02 reg Mercedes S320CDI with satnav for £22,600, a 57k mile 02 reg BMW 318i 2.0 litre for £9,900, a 46k mile 02 reg 318i 2.0Ti Compact for £9,300, and a 56k mile Y reg Jaguar 4.0 Sovereign for £10,600. So while the entry looked a bit thin, there were still plenty of bargains to be had. Meanwhile, among the Hall 3 part-exchanges, a 24k mile Y reg FIAT Doblo 1,9D SX combi bid to £2,750, a 38k mile 2000X Citroen Berlingo Multispace 1.4i with full length sunroof sold for £2,400, a 67k mile 95N FIAT Uno Start sold for £300, a 100k mile 95N Mondeo 1.8LX auto sold for £170, a 148k mile 92K Astra 1.7D Merit sold for £140 and a 128k mile 90G Ford Orion 1.3 Equipe with £100 worth of alloys and tyres sold for £20. Next Top Car sales at BCA Blackbushe on Mondays 11th and 25th July.